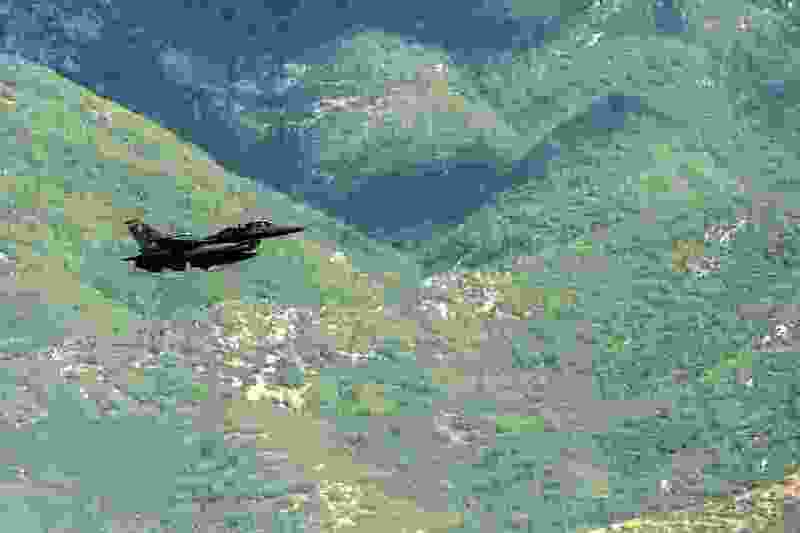 Chris Detrick | The Salt Lake Tribune A F-16 flies above Hill Air Force Base Wednesday September 2, 2015. At the request of federal prosecutors, charges have been dismissed against a Utah man who was accused of illegally exporting F-­16 aircraft parts to Indonesia. U.S. District Judge Jill Parrish on Monday granted a motion to dismiss the charges against Scott A. Williams without prejudice, meaning prosecutors could seek a new indictment. The dismissal request was made “in the interest of justice,” according to court documents. Prosecutors had no comment on the reason for the request, according to Melodie Rydalch, spokeswoman for the U.S. Attorney’s Office in Utah. Williams — a former civilian contract employee at Hill Air Force Base where he worked with the Foreign Military Sales Program — was indicted in February 2016 two counts of unlawful exportation of goods from the United States and one count each of false statement in a document and conversion of property of the United States. The indictment alleged Williams exported two F­-16 Aircraft brake assemblies, knowing it was a violation of federal law to export them, and prepared a document falsely authorizing the brake assemblies to be shipped to Indonesia. In addition, the indictment said Williams exported U.S. Air Force technical orders for F-16 aircraft and converted technical F-16 aircraft data for his own use and the use of others.